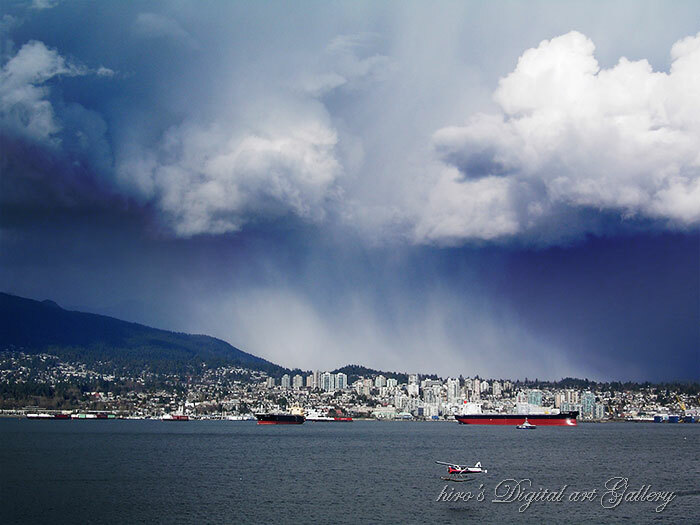 In Vancouver, BC, we say “When Vancouver is rainy, North Vancouver is snowing and Surrey (South of Vancouver) is cloudy…” especially during our winter. Due to the mountains in North Vancouver, the weather is quite different there. The weather is quite changeable. 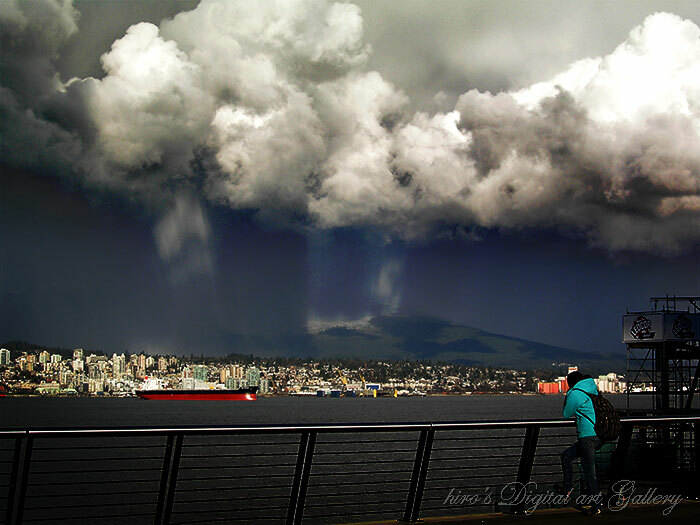 People think winter in Vancouver is always rainy…..but we can see this kind of dynamic change too. Contax was originally made by Zeiss Ikon….camera dept. of Carl Zeiss in West Germany. In 1960s, Japanese SLRs became popular all over the world and took the market from Germans. Zeiss Ikon withdrew from camera in 1972, but they still had excellent Carl Zeiss lens system and looking for partner to make camera together. First of all, they approached PENTAX which was most popular back then. They had small telescope business together…but they did not have agreement on cameras. PENTAX had their own lens system and having Carl Zeiss lens could disturb their business….that was how they thought in early 70s. Then, Carl Zeiss approached to TOPCON. But again they did not have agreement because TOPCON was using EXAKTA mount which has small diameter did not meet Carl Zeiss’s standard and TOPCON refused to use new lens mount. Finally, they approached to YASHICA which had only cheap grade SLR and poor lens line up. To start CONTAX, YASHICA had to use new lens mount. But YASHICA was using M42 screw mount and starting CONTAX was very good timing to change lens mount. About the same time, PENTAX which had disagreement with Zeiss was planning to start new lens mount and they were approaching many companies to make the new mount “Universal mount”. Rumor says CONTAX was planning to use new PENTAX K mount……but again, they had disagreement and did used their own mount. Actually, CONTAX mount looks similar to PENTAX K.
Carl Zeiss approached PENTAX, TOPCON and YASHICA……they were looking for companies which had experience in electronics. CONTAX RTS was launched in 1975 with Carl Zeiss lens system and Porche body design. Carl Zeiss lens were different from any other Japanese lens and they were not as expensive as when they were made in Germany. Porche designed body was different from any other Japanese. That was how, lots of professionals started using them. But CONTAX was famous for its unreliability too. Although they always struggled with the quality, at least YASHICA succeeded to break into flag-ship camera market. Thanks for Carl Zeiss….!! I will have to say CONTAX was expensive not because of its quality. The price was including license fee to pay for Carl Zeiss. The Carl Zeiss lens were not made in Germany. They were made by Tomioka Optics who was making lens for YASHICA. Although YASHICA was cheap camera, they were well-known for its high quality lens and that was how they could produce the world best Carl Zeiss lens at reasonable price. Later on, YASHICA was merged by KYOCERA and kept making CONTAX until they widdrew from camera in 2005. SONY introduced brand new 35mm full-size point & shoot camera RX1. A few years ago, when “Micro Four-thirds” came out, I commented that it was very good idea to remove mirror box to make the system compact. At the same time, I said that it would be good idea to have 35mm full size mirrorless or Point & shoot camera. I always think…or everybody think that full-size cameras are too big and expensive. That was how I thought it was good to have 35mm mirrorles or point & shoot. I was looking forward a camera like Plaubel Makina which was sold in 1980s. It was 6×7 range finder camera and the retractable lens made it extremely compact. Plaubel Makina…it was a compact 6×7 medium format camera. Those days, all the other 6×7 camera was huge, heavy and expensive SLR such as Mamiya RB67 or Pentax 67. This RX1 reminds me the Plaubel Makina. It comes with 35mm Carl Zeiss lens is looking reasonably compact too. I am glad to hear that camera I was thinking a few years ago is really coming go the market!! Waipu is a small town about 1.5 hour drive to north from the largest city Auckland. This small town is popular with the wild beaches during the summer time. As we go north, warmer we get in NZ. This means the weather is slightly warmer than Auckland. Unlike the calm Auckland beaches, those wild beaches are popular with surfers too. Those photos are taken about this time of the year, which means in the middle of winter in New Zealand. Those were taken by CONTAX Tvs Digital. 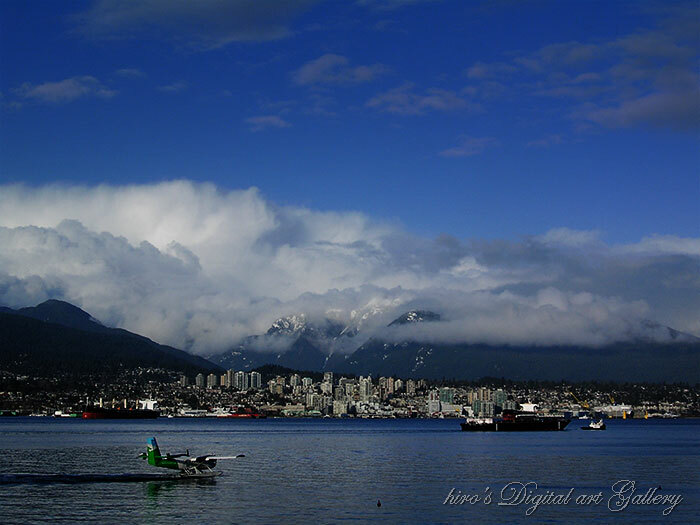 This temperamental camera with Carl Zeiss lens sometimes create crystal clear images and sometimes create like monochrome…..
Coal Harbour is west end of the Burrard inlet and also gateway to Stanley Park. This area was developed last 15 years……and I just don’t remember how it used to be…. High rise condos are behind and yacht harbour along the coast line. In a warm spring afternoon, It was a perfect lighting for Carl Zeiss Lens with Ektachrome. In a sunny winter evening, the sky turned to beautiful purple. I used CONTAX Tvs2 film camera for this special moment. At the same time, I used digital camera as well……but still this one has something more detail. At the same time, now I am so used to 4/3 format which is closer to square, 35mm looks too wide and hard to frame for me now.